Countdown to 2019: Three Cats Who Want to Ring in the New Year With You! Are you committing to a “new year, new me” philosophy for 2019? We’d like you to meet some extra-special feline guests of the ASPCA Adoption Center who are hoping to celebrate a “new year, new home” in 2019—it could be that your goals and theirs align! 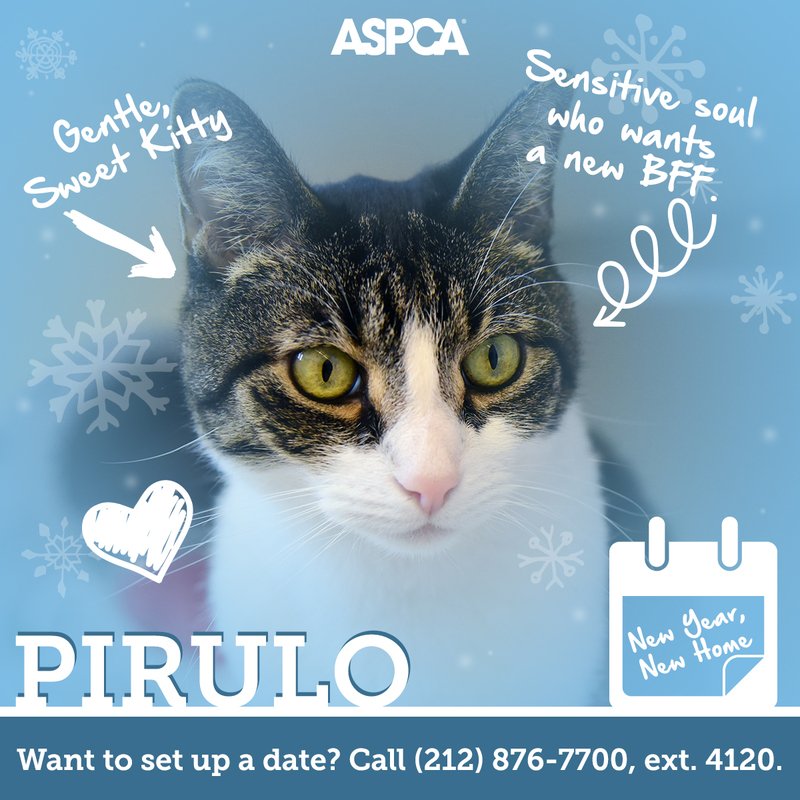 Maybe the “new you” is looking for that purrfect cuddly companion—or maybe you know someone who is. If you can’t adopt just yet, please share this post on your social media channels to help us spread the word. 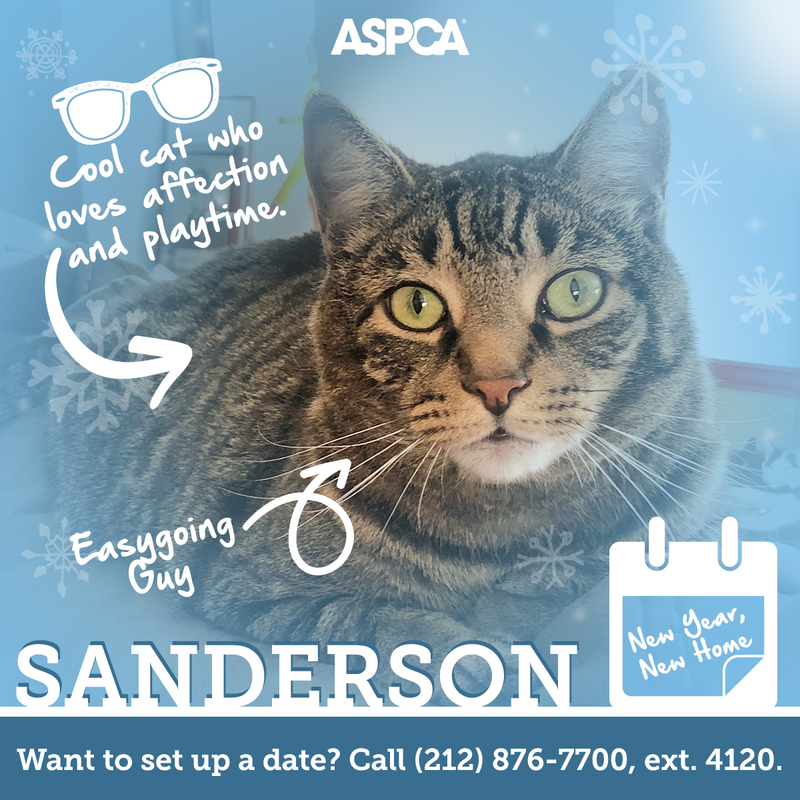 Help Kenan, Pirulo and Sanderson ring in the New Year with the comforts of loving homes and new beginnings. 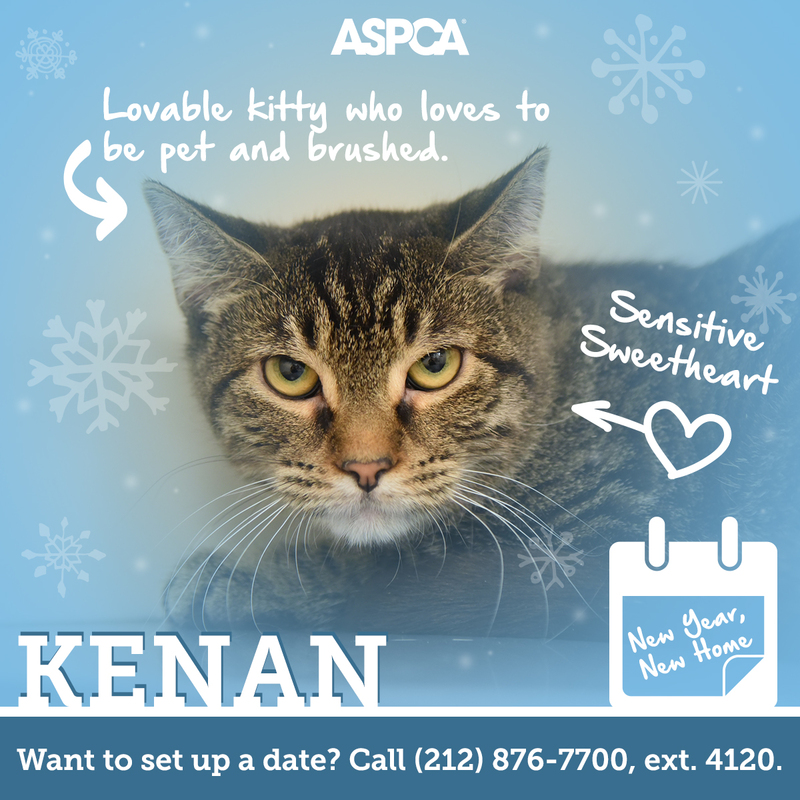 If you are interested in adopting Kenan, Pirulo or Sanderson, please call our Adoptions department in New York City at (212) 876-7700, ext. 4120.